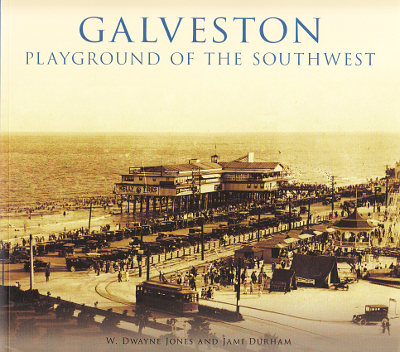 Description: Galveston had adopted the moniker "Playground of the Southwest" by the 1920s. This title noted the city's economic revival following the 1900 hurricane. Galvestonians envisioned a tourism industry largely built around its beaches on the Gulf of Mexico, the tranquil water of Galveston Bay, and a year-round mild climate. Island business leaders also introduced amusement parks, nationally renowned events, and nighttime entertainment venues. By the 1930s, in a waning national economy, Galveston saw the quiet return of more questionable tourist businesses including gambling and prostitution, challenging the concepts of the conventional tourism industry until closed by the Texas Rangers in the 1950s. Later in the 20th century, Galveston Historical Foundation leaders who discovered the economics of heritage tourism began promoting the island's captivating history. 144 pages, 225 B&W photos. Viewed: 2,034 times since February 5, 2013.